Tongues of Ash stands out and stands firm because almost all the poems are embedded in, but also arise from, specific places in the landscape. They are trustworthy poems, where personal response to place is observant, clear and thoughtful. 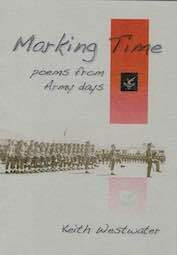 They tell no more or less than is needed to make a good poem and the telling is consistently light-toned and respectful. 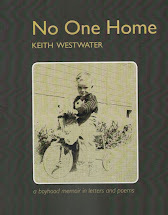 There's a no-nonsense specificity about Keith Westwater's poems, a refusal to privilege the smooth over the roughnesses of human experience. He provides a chart of his significant spaces - literally as well as figuratively: the book begins with an annotated map of New Zealand, with Wellington as a special insert – which has room for romantic and family love, weather, landscapes, rocks and history. The poems in Tongues of Ash testify to Keith Westwater’s long, honest and loving relationship with the New Zealand landscape. They’re memories of place and people, evoked and explored (often with wry humour) through closely observed detail and unexpected but apt metaphor. I have found much to appreciate: a humanistic vision that encompasses nature and culture, the personal and universal. With the wisdom of age comes empathy, irony, humour, ideological critique, love and affection. His work has an identity and strength that is unique. The cover of Tongues of Ash is a mixed media work by Turi Park entitled "Dawn Poem for Taranaki". It depicts Ruapehu and Ngauruhoe as seen from Mt. Taranaki at dawn and overlain by a puka leaf and shellac and bitumen. The scene is a mirror image of one played out for me many times at dusk during my years in Waiouru – Mt. Taranaki on the horizon with Ruapehu and Ngauruhoe close by. Turi's art is exhibited at the South Coast Gallery, Island Bay, Wellington.